A classic addition to any porch or patio, our handmade rockers are sure to add a familiar style and touch of comfort to any space! The wide variety of sizes, styles and colors will give you the creative freedom you need to design the perfect place where you can sit back and take in every beautiful piece of your outdoor oasis! Choose from painted wood or the ever popular poly lumber and add a cushion and throw pillow to create a beautiful seating area to enjoy with your family and friends. Add a matching side table for a place to rest your morning coffee or snacks and a cold drink while enjoying the afternoon sun. Each rocker in our collection is made right here in America. 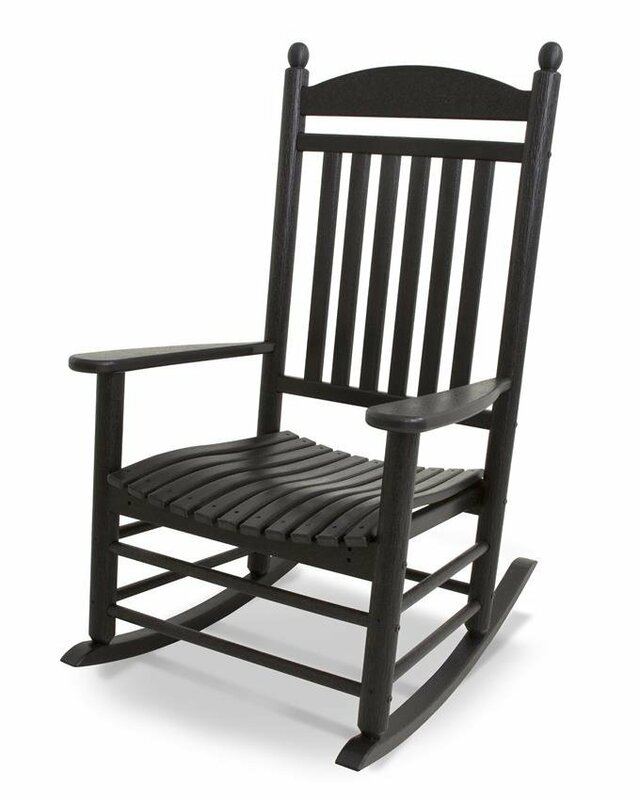 The quality handcrafted construction that goes into each piece will ensure your rocking chair will be there for you, whenever you're ready to relax, for many years to come!